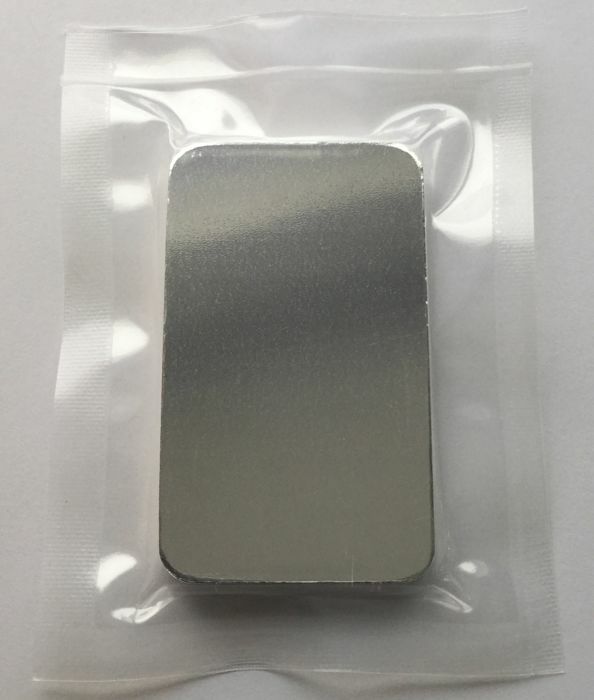 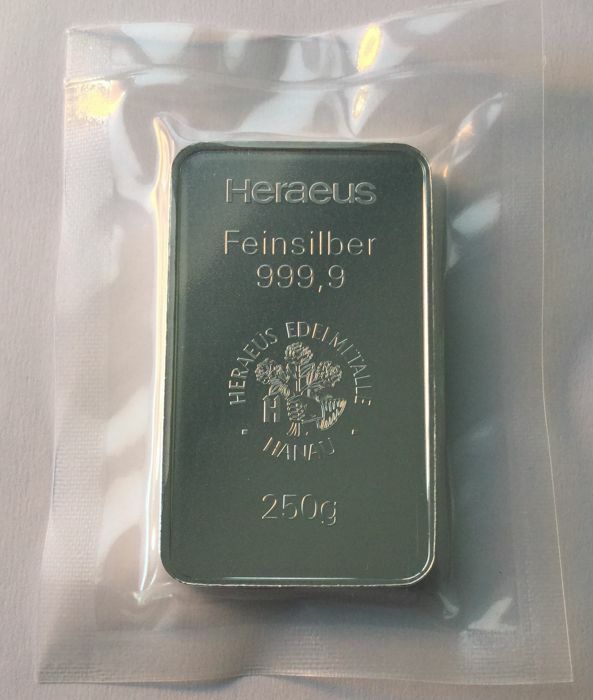 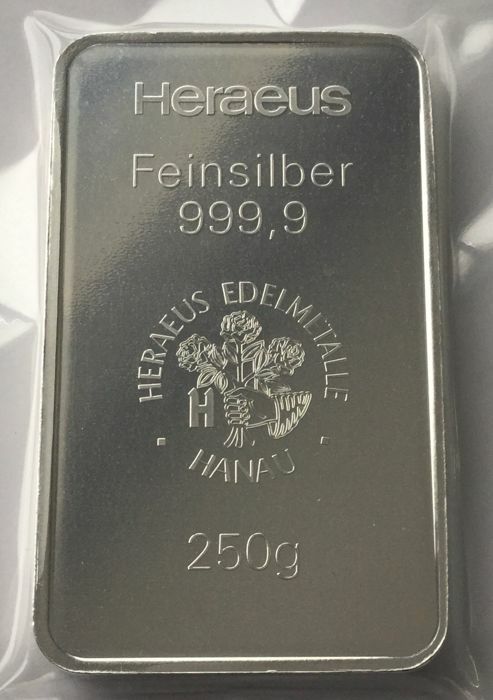 Freshly minted 250 g silver bar. 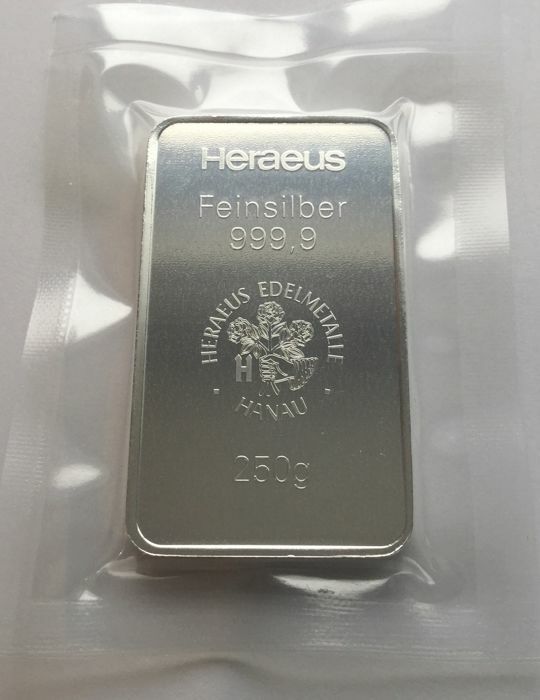 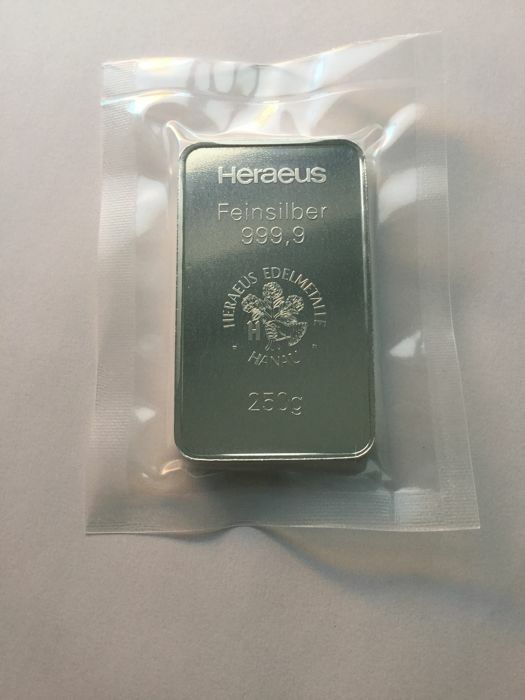 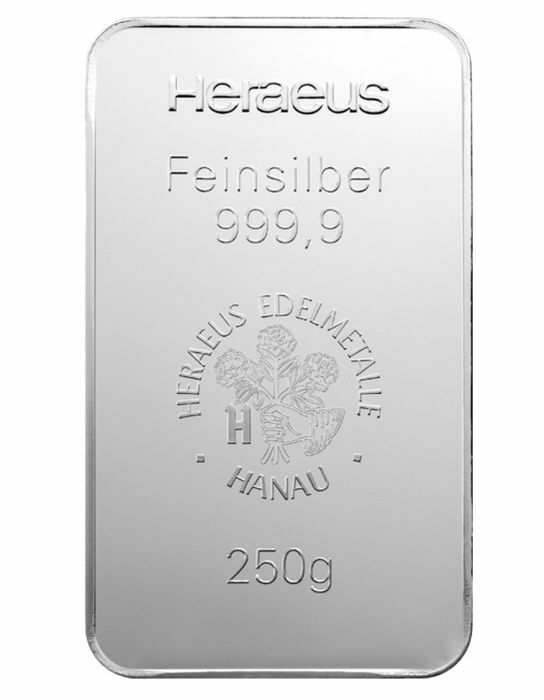 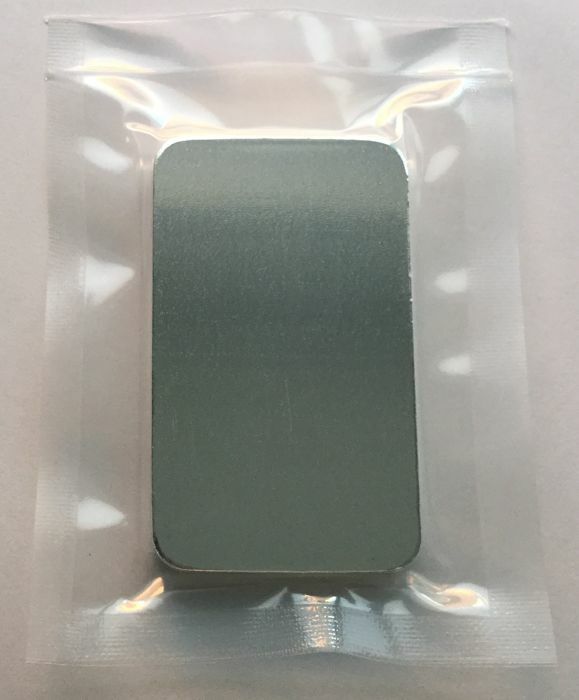 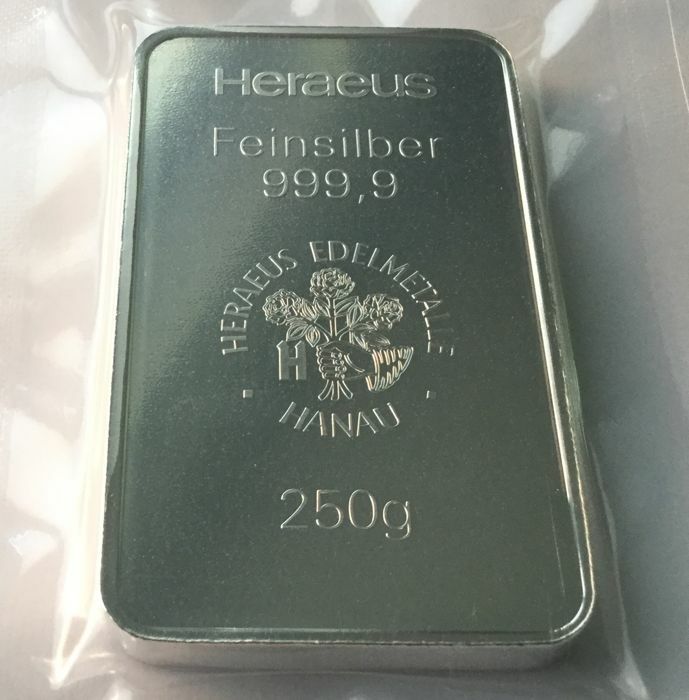 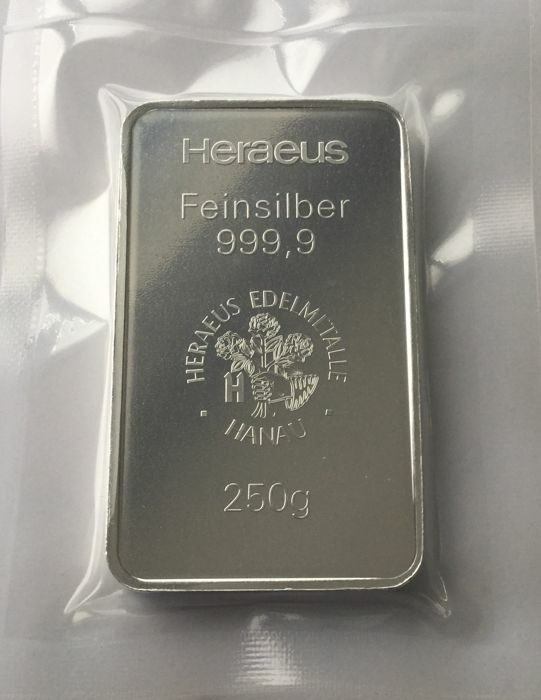 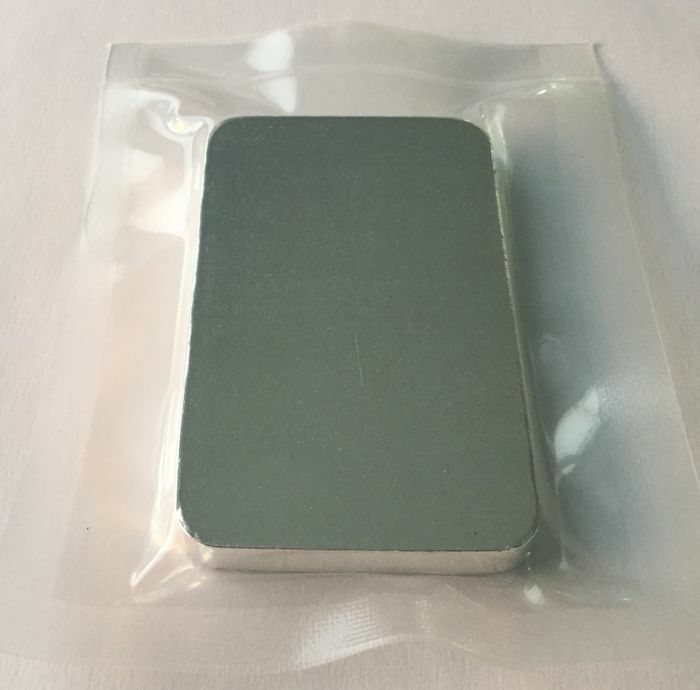 250 g of 999.9 fine silver. 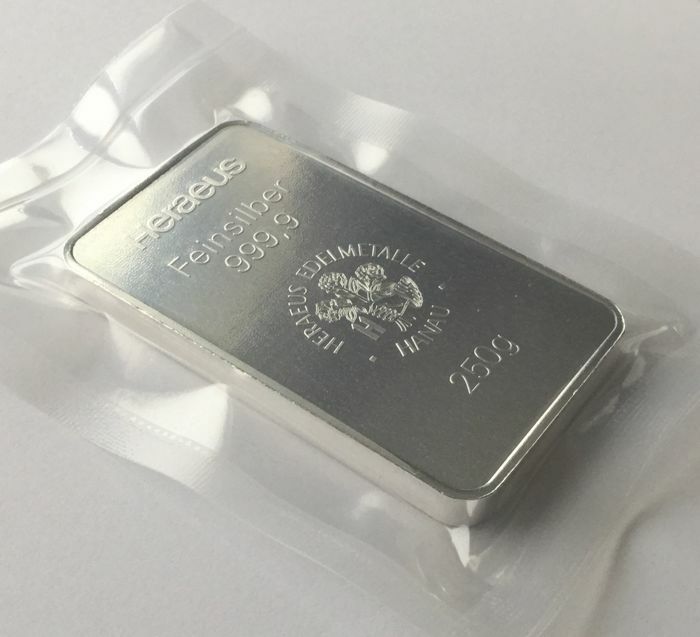 Freshly minted bar, sealed in plastic.